Since 1999, Absolutely Corporate has been helping businesses reward their staff with convenient, cost-effective corporate massage packages. In just 15 minutes, our caring team of experienced therapists will de-stress, invigorate and revitalise your staff. 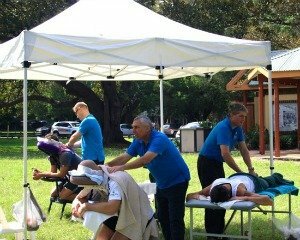 We can cater packages to suit your company’s needs, whether you require massages on a weekly basis or just a yearly one-off. Lasts from 5 minutes to 1/2 hour – it’s your choice. 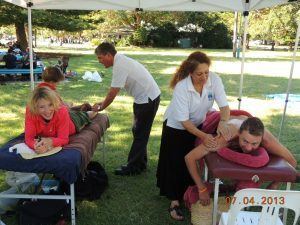 Each office massage incorporates deep tissue, shiatsu and trigger point therapy for total stress relief. Your team is energised, refreshed and ready to return to work! We help you create wellness at your workplaces. According to Fortune Magazine, some of the best companies to work for already use seated massage as an excellent way to attract, reward and retain valuable staff. Call Us.